Interests:Anything and everything Mustang and Shelby related. I have over 4000+ Mustang and Shelby toys in my collection. Hope everyone has a great weekend. I'll continue to update this list as new items come out. Take care. I have very few 1:64 models, and only one Shelby car. 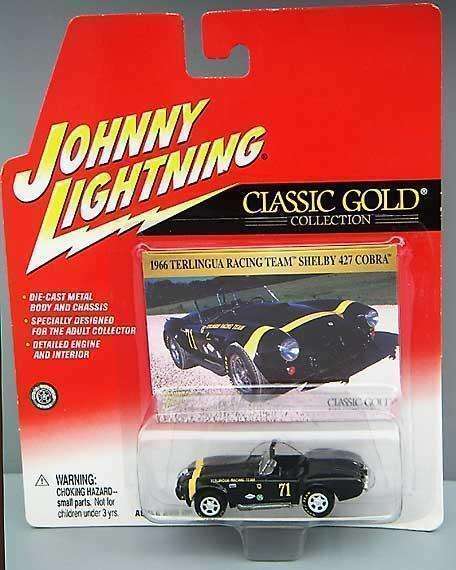 I guess if it is Johnny Lightning it doesn't qualify as "collectible"? 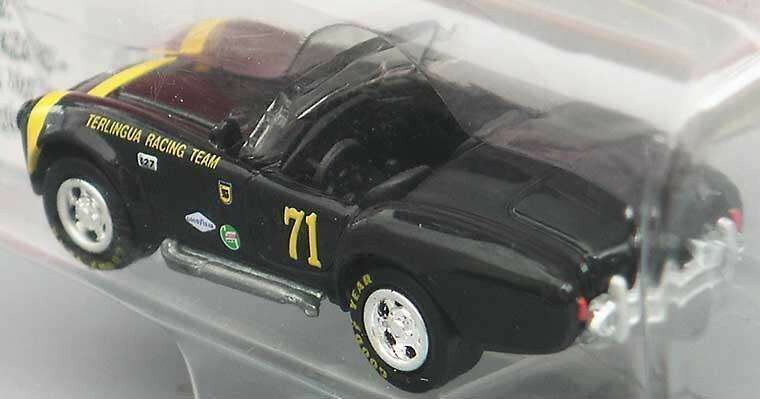 british racing green – no stripes – black interior - # 5 - "After the Race"
Most of our differences are that I list the Shelby Showroom Diorama and 10 car Collector Box set duplicates as separate from the single cars. Minor issue but takes a while to sync when our description vary. I like your detail and clone over to my list. I hope I don't find myself adding it all up only to find that I could of afforded a real GT350R. Thanks. I've added the missing Aston Martin above. I chose not to list the duplicates, but maybe I could put something like this ... ( also included in the Diorama set ) ... after the listing. That way people know about it. What do you think ? I am definitely collecting most all the SC castings. I do every Mustang that come out, even the 48's by Collectables Corner. Though it gets expensive as you know. I don't do all of the Cobras or Daytona Coupes. I just don't have the room for them in my basement. I've been trying to get all the non-Mustangs out of the garage where my collection is. I cut down on my Cobras and Daytona Coupes because I have them in my basement and I just can't display a lot of them down there. I'll keep an eye out for the blue '08 KR, but we rarely ever get any SC's at our TRU's. Most of mine come from from friends who find them for me or from on-line dealers. Take care and have a great day. Good luck on your collection ! Adding ( also included in the Diorama set ) works for me....but who knows how far is it going to go. It could break down if we get down to the "Super Special Extra Exclusive mid winter white everything 1 of 10 for OCMD addicts only Diorama Collection matching set, 2020 Edition, Release 350" ....of course if would be the version that includes the exclusive signature hand sign by Shelby himself. Here's another interresting release I found today. The 85th birthday '68 GT500 (red w/'Happy 85th Birthday and '85' in the meatballs) on the new blue card. I was surprised to see this on the peg, and grabbed it along with a black Daytona and a dirty Daytona (you can never have enough 'dirty' cars). 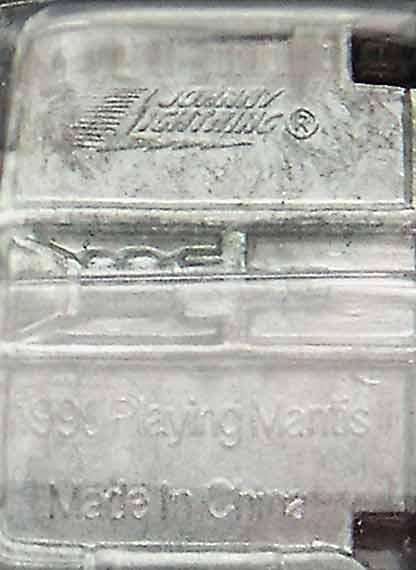 Looking on ebay, I found a number of these for sale so it's not a misboxed, just a new version of an old car. in the meatballs? lol i am a little confused as to what does that mean? is it different from the 85th that was released on the old card? Sorry, the term 'meatballs' is used in racing to describe the circles on the doors (and sometimes hood and/or trunk) where a cars assigned number is placed. I don't have a red anniv. car in front of me to check it out, but I suspect that the car is the same, which is only slightly more confusing than if were different. ok i get it. man if that is the case wow. i missed it. i am usually more observant than that. i have one on the old card but not one on the new card. i will have to check that the next time i see one on the peggs. hey guys just found a few more new variations to add to list. red 427 cobr w/ gold stripes. these were found in the single packages w/ red background. good luck hunting as well keep posting new variations please. as well anyone finding these anywhere else other than toys-r-us. my local store has several just hanging and am afraid they won't be ordering until the stocks get low. and it doesn't appear that anyone other than me is purchasing any of these cars. good and bad lol. List has been updated to the best of my knowledge. menards stores as well has some new releases. not sure yet to what ones are different but i know there is a red terlingua mustang. good luck hunting. Interests:The usual; Mustangs, Shelbys, Cobras, Ford GTs, and yes even Cougars. OCMD....Thats it...that what I have....I agree that it get expensive to keep up, especially with the "special" limited models. As someone said earlier, I hope buying all these toys does not add up to more money than a real one. Thanks for sharing this list. I too am going to start checking off what I have / need. To keep it under a bit more control, I'm focusing on only the actual production miniature versions, no chase cars, white interior, or white wheels. It will save loads of cash for the real cars in the garage. Can I add a couple that you've missed? 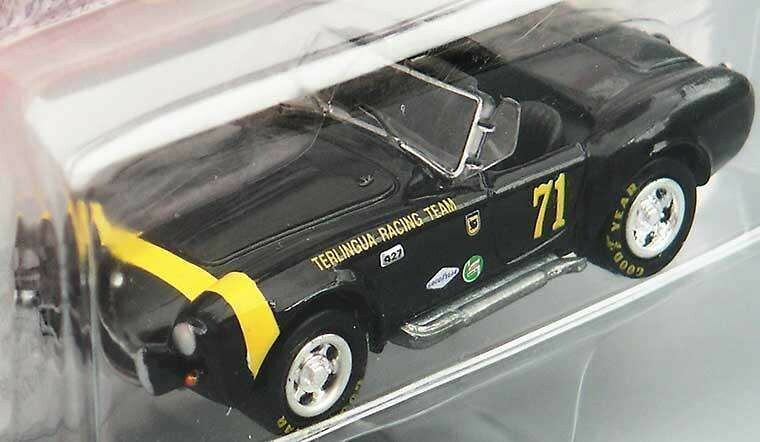 There's a CS/6 in 64th scale from Shelby Collectibles? Ok, I need to start looking harder for these cars. Anybody have a list of all the retailers that sell these besides Menards (none in NJ) and ToysRUs? I found 4 or 5 of them at Toys R' us in Miami.....all were very carefully flown back home. I have updated the list to the best of my knowledge. Take care and have a great day. The list has been updated. Sorry for the delay. Take care and have a great weekend. I am looking for a 2008 SGT orange/silver stripe car - any ideas where to buy one? So far no luck on ebay.